AN IRISHMAN WITH severe learning difficulties serving a life sentence for murder in a Northern Irish prison has lost an appeal on his conviction at a European court. Matthew O’Donnell (35) was convicted for murdering a 30-year-old man in Co Tyrone more than decade ago, after being arrested in the Republic and extradited to the North. 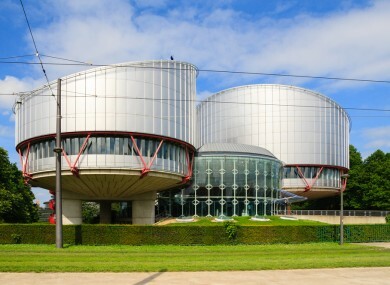 According to the judgement published by the European Court of Human Rights (ECtHR) today, O’Donnell has an IQ that places him in the bottom 1% of the population, and his understanding of English is equivalent to that of a six-year-old child. His defence had attempted for this to be deemed reason for O’Donnell not to testify in his 2004 murder trial, something which the judge refused. The judge said he could inform the jury to draw an adverse inference if O’Donnel did not testify, as they believed testimony could have been given in “such a way that no unfairness would result”. O’Donnell appeal also hinged on videotaped interviews conducted with gardaí prior to this extradition, which were excluded from evidence in his trial. The judge in his case had not allowed a clinical psychologist, who gave evidence on O’Donnell’s learning difficulties, to share his observations on the taped interviews. On both these points, the ECtHR ruled there had been no violation of O’Donnell’s right to a fair trial. O’Donnell now has three months to request the case be given further consideration at Grand Chamber hearing. Email “Irishman with severe learning difficulties loses life sentence appeal”. Feedback on “Irishman with severe learning difficulties loses life sentence appeal”.